3056 Glendon Road, Bethlehem - If you're looking for space for the whole family, look no further! 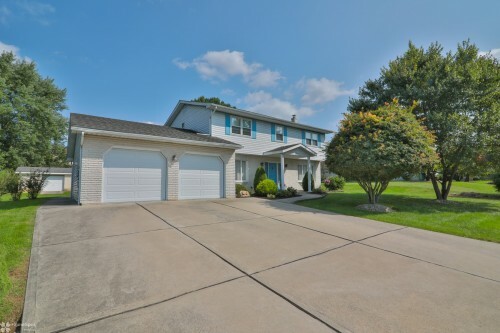 This lovely home sits in a sought-after neighborhood in North Bethlehem, and comes with a nice yard and patio, as well as a swimming pool for your enjoyment! The eat-in kitchen is large and comes with ample cherry cabinets and plenty of counter space. The flow is perfect for entertaining as the kitchen leads directly into the family room that includes hardwood flooring, a cozy fireplace and an unexpected walk-in closet - or out the french door to the patio and pool. A first-floor bonus room with its own outside entrance could serve as an in-law suite, or an exercise/craft/play room. The 2nd floor master suite has a walk-in closet and remodeled bathroom. Maintenance-free concrete driveway, first floor laundry, and close to major routes and shopping! Put this on your must-see list!